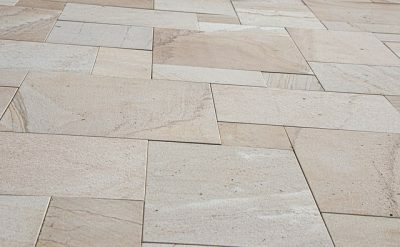 One of the top questions customers will ask when looking to incorporate a type of stone into their building project is “What is the difference between natural and engineered stone?” It is automatically assumed that since it’s engineered stone, that it cannot possibly as good as the natural stone. This is not necessarily true. It is all a matter of preference. The important thing is to know the difference between the two materials before determining which is the better purchase for a construction project. As a wholesale buyer or distributor, it is important to educate yourself on the types of material that is available, even that which is considered not authentic. For, both types of materials have its advantages. Natural stone, specifically granite is made up of quartz, mica and feldspar. It is quarried from the earth. What this means is that each slab has a color pattern with an organic design according to how it was formed in the earth. This natural feature might appeal to some buyers, as they will have a unique piece of art to incorporate in their building project. However, the obstacle of finding consistent patterns becomes the task at hand, but it is hardly ever a chore, as the art of choosing certain types of natural stone becomes more of an interior design choice rather than a builder’s. The idea of engineered stone was reportedly developed in the late 1980s in Italy and has since then become one of the most popular choices for kitchens countertops. Engineered stone is a man-made material that is made up of 93% quartz and 7% resin and polyester material. Sometimes, that 7% includes recyclable materials depending on where you purchase your engineered stone. The process is simply a matter of taking rock and crushing it, then adding a resin and running it through a diamond-polishing machine. Q. Does engineered stone look different from natural stone? A. No. Although experts may be able to tell the difference, but for the most part, engineered stone looks as good as natural. There is a valid concern that because engineered stone is man-made, that it will not have the same color pattern as natural stone. Because natural stone has organic color variations and veining, depending on the kind of look you are going for, engineered stone can also have the same effect. It is worth noting that because this is an engineered product, it will not be an identical match to natural stone. Here again, it is up to the buyer to determine what kind of look they are going for. If builders are searching for a Vanilla Oro look, then they might want to consider an engineered stone. Basically, engineered stone is perfect for designers and builders who want to achieve a pristine décor. It is also perfect for the art deco design that Miami is so well known for. Here is where the difference between natural and engineered stone really comes into play. Natural stone is porous. Therefore, to maintain its luster, it is recommended to apply a sealant every 12-16 months, depending on how often that surface is used. Most buyers seem to assume that because they are purchasing a long lasting, durable product, that it doesn’t require much maintenance. What most people don’t know about natural stone is because of its porosity; it does have the ability to stain if it is not properly sealed. Even when sealed, it is important to clean up any spills or anything that can settle in the stone. Think of natural stone like skin. As we apply various solutions to our skin to protect it, unfortunately, it isn’t damage-proof. The same can be said for natural stone. So just because one invest in natural stone doesn’t mean that they can just forget about caring for it. For it would be a shame to let such an expensive and beautiful material get stained due to neglect. Engineered stone is not as porous because of how it’s manufactured. The resin and polyester that is fused within the crushed rock makes it less porous. It has an absorption rate of .05%. Most natural stones have an absorption rate ranging from .01 – .40% that varies because of its organic make up that cannot be controlled. When it comes to testing the heat resistance between the two stones, natural wins! Natural stone is essentially imperishable and has been known to out last generations. Practically all of Europe was built with stone and can be appreciated to this very day. Natural stone is strong enough to endure all of the elements, even fire. Most natural stone countertops are tested with a blowtorch to test its durability. This is especially appealing for contractors who are building a kitchen because it serves well as a great selling point. With most natural stone, users can place a hot pan on their granite countertop. For granite can reportedly hold approximately 2,000 degrees worth of heat. This is not the case with engineered stone. The same material that prevents the stone from being porous is the very same material that will melt against the exposure of approximately 400 degrees. Under this type of intense heat, the surface will begin to blister with engineered stone. Overall, natural stone will last longer, but engineered stone doesn’t require the annual sealing and is more susceptible to heat. Therefore, engineered stone is going to be less expensive. So depending on the builder’s intent, the budget, and design choice, either one of these stones can serve as an impressive decorative choice. We understand that you still may have questions regarding the pros and cons between natural and engineered stone. That is why our friendly customer service department is on hand to assist you with selecting the right king of tile for your inventory. Call Nalboor Tiles at 305-501-4548 or visit our website and view our online inventory. Our customer service department is available Monday – Friday from 9am – 5pm EST.